spending 1000 gems in the Grand Event grants you a special Orb with an x5 Multiplier! if rare emblem items in the shop are too expensive for you, try gathering 150 000 trophies in the Battle Event. This will grant you a rare token with an x5 Multiplier! Good luck on your way to glory! hi! 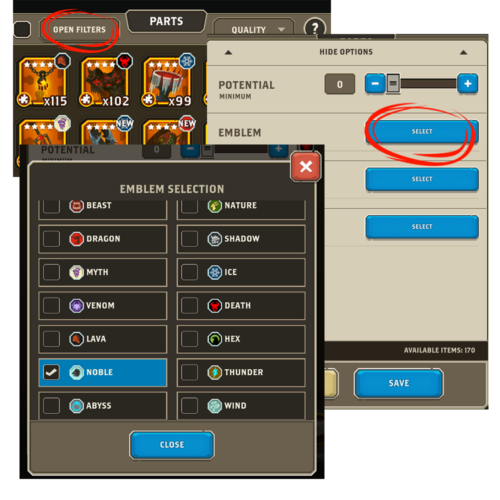 why can t i use 2 token x10 event? That’s the way the multiplier system works so that players use the emblem Gear instead of just crafting multiple tokens. Hope this answers your question!